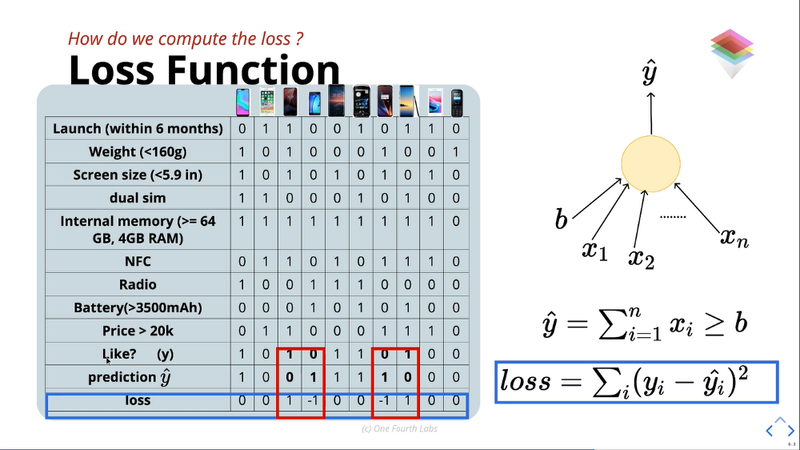 you can evaluate loss by analysing the difference between like(y) and prediction (y_hat). But here the problem is by taking aggregation of individual loss we will get zero. So it’s not a good approach. solution: taking a square to individual loss and aggregate. you will get 1+1+1+1=4 as a loss. 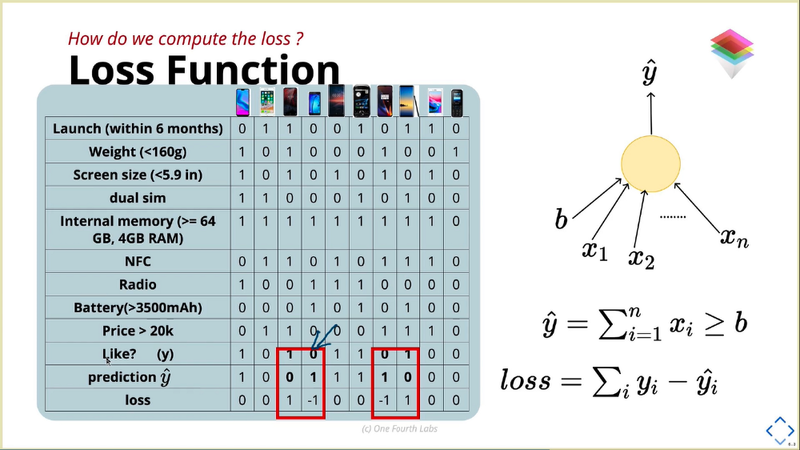 But here we can conceive another solution as |loss| (mod), then why we are approaching through square? One answer for that is, for mod function differentiation we can’t define every value.